Once you have exported a model in using Autodesk Maya, you can import it into Harmony and integrate it to your 2D animation scene. 1. In Harmony, select File > Import > 3D Models. The Import 3D Models dialog box opens. 2. Click Browse and locate your *.fbx files. 3. Click Open to validate your choice and close the browsing window. 4. 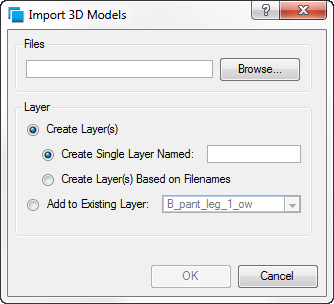 In the Import 3D Models dialog box, choose your import options. ‣ Create Layer(s): This option is selected by default, meaning that a new layer will be created for the selected files for the import. You have two choices. 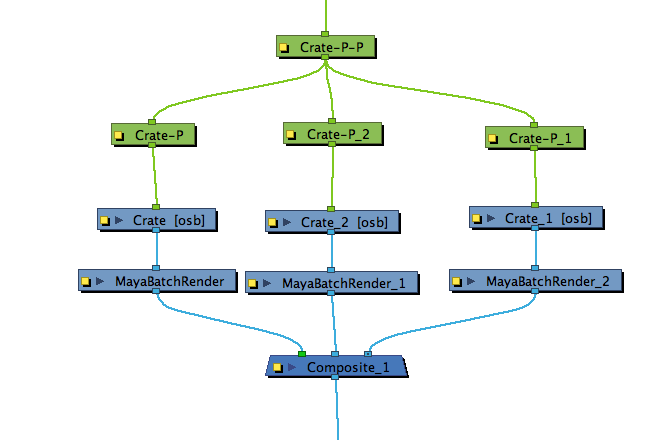 ‣ Create Single Layer Named: Imports all your selected *.fbx files in the same layer. You can use the active text field to name the layer. ‣ Create Layer(s) Based on Filename: Creates a different layer for each file selected for the import. The layers will be automatically named in accordance with the file names. ‣ Add to Existing Layer: Imports the selected files into an existing layer in the scene. Use the drop-down menu to select a layer. If you choose to add to an existing layer which is a vector layer, then it will encapsulate the 3D model inside a symbol. 5. Click OK to validate your choices and import the selected file(s). The 3D models are imported in the scene. Note that, if at this point, the Preview mode is set to Render View mode, then the 3D model will not be visible in the Camera view. If this is the case, click on the OpenGL View button, you should now be able to see your 3D models. 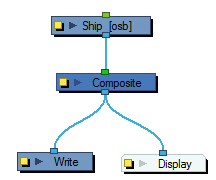 You can use Peg modules to control the position of 3D objects, and connect them as you would with 2D layers to create rigs.